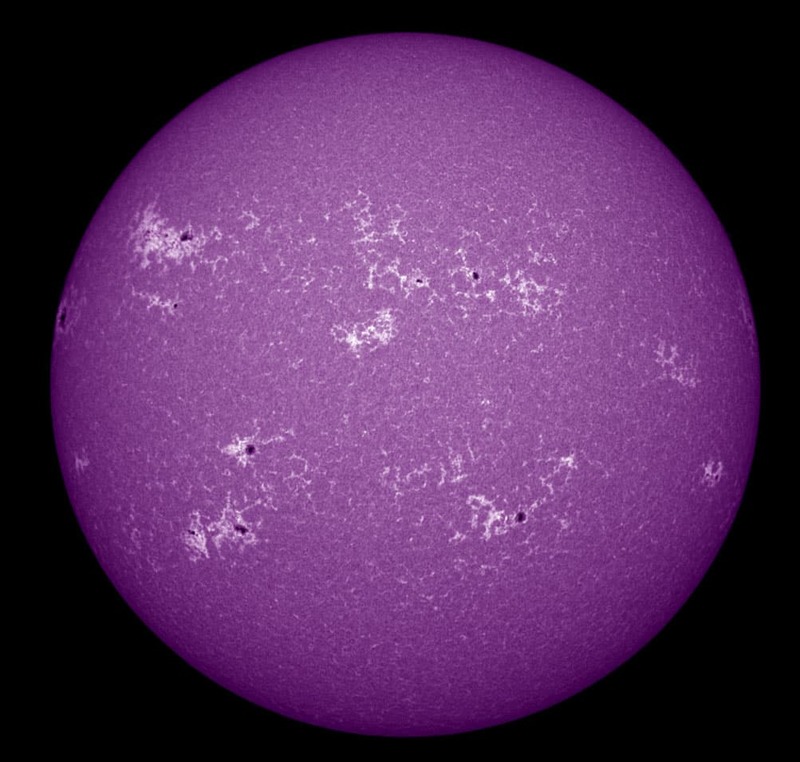 This is the photo of the sun, taken on Waternish by Robert Arnold, which was shown on the BBC Stargazing Live TV program on January 8th 2013. It is taken using a Calcium K line filter, which shows only a very narrowband of light near the UV end of the spectrum, the Calcium emission line. 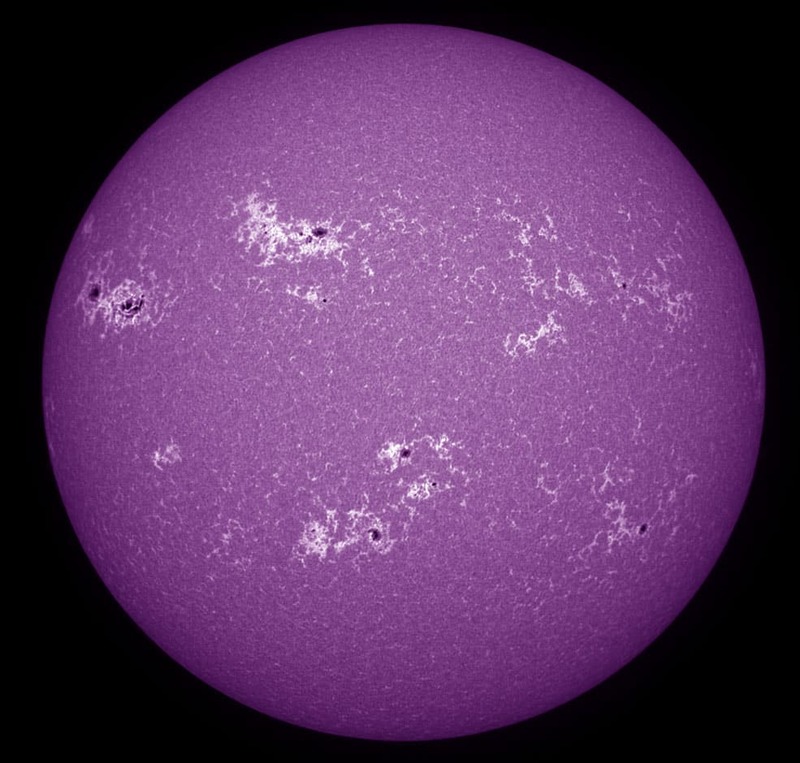 This shows solar activity, magnetic disturbances very clearly so is a good one for an overview. The big spot was just appearing on the left on January 8th 2013 and a couple of days later it was more visible (see the second photo). This was what might have caused some aurora but didn’t deliver. It has now gone over the edge on the right/west limb. There were some very weak events which were seen as a vague glow from some places on Waternish.